A bunch of scientists with nothing better to do borrowed some computers from Google and programmed them to solve the Rubik's cube . Now it seems that any cube in any position can be solved in no more than 20 moves. The scientists will formally announce their foolproof solution next month at the annual International Waste of Science Studies convention in Oslo, but they have given us an exclusive sneak peak at their solution. 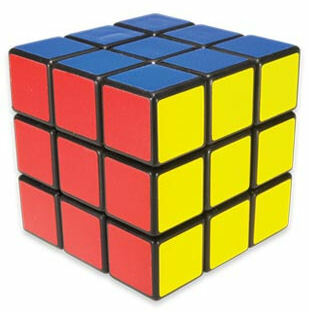 Adjust the cube around its vertical axis allowing visual access to squares matching the top most center color. Remove the stickers from the sides and replace in the correct position on the top. Repeat for all 6 sides. ROFL. That is absolutely hilarious.